"We're announcing a new project that's a natural extension of Google Chrome — the Google Chrome Operating System. It's our attempt to re-think what operating systems should be." Naturally, the tech world goes crazy. I've seen people say such polarized things as "Today marks the knee of the great curve of Microsoft's decline" and "Google's vision is meaningless to consumers." I've seen people say that this is just what the world needs to push Linux into the spotlight and spread its market share, but alongside those, I've seen people criticize the proposed operating system as a direct affront to Linux. In truth, the tech world is full of zealots and fanboys who will say pretty much anything to draw attention to their OS/browser/etc. of choice. Let's look at this logically, level-headed. Focused on "speed, simplicity, and security"
Capable of booting and being on the net "in seconds"
Let's tackle the two obvious questions. Quick answer: who knows? Certainly, Microsoft's long-standing campaign of deceit, condescension, and failure to meet promises is beginning to fail them, especially in the light of Apple's advertisement campaigns in the past few years which have been an unabashed, straightforward attack on Microsoft, even if they were largely a heap of fibs themselves. At the end of 2006, it would appear that Microsoft had roughly 94% of the market depending on how you measure it (and if Wikipedia's sources are accurate), while Mac claimed 5-6% and the various Linux distributions carried less than 1% of the pie. At the end of June 2009, those same sources show various Windows OSes occupying a little less than 88% of the market, Mac's share increasing to roughly 9-11%, with Linux still dangling in at a little bit less than 1% (but still more than its previous "roughly 1%"). Chrome OS fits a niche market: the netbook. These are those (almost annoyingly) small computers that are meant to have only enough processing power to put a person on the Internet and do some basic word processing. They are definitely helpful for the technologically disinclined. A person wanting to actually accomplish something impressive will look elsewhere, but netbooks definitely have a good reason to exist. I'm sure that Chrome OS will run quite nicely there. It's a niche that Microsoft will have a hard time filling, even with Windows 7, which is intended to do just that. Win7 requires 16-20 GB of free space on the hard drive, and that's ignoring any filespace left over for other software. Microsoft Office will then chew up another 1.5 to 3 gigs depending on how much of that software you need. Tack on the high video card requirements and you have a stodgy, slow, and ugly operating system that devours more of the disk than necessary. Most of the affordable netbooks have much larger disks than that, so the wasted space may not mean as much as it used to. However, the fact that Windows 7 sets up automatic defrags, even on hardware such as solid state drives where the act of defragmentation is both unneccessary and physically damaging, makes it a dangerous operating system to run on a netbook without doing some major tweaking first -- tweaking that the kind of people who create the netbook market probably won't know to do. It looks like it could affect Microsoft in a couple of ways, though. First, it might expose Linux to more people. Don't let me confuse you with that statement and that emphasis. What I mean is that it will succeed. Trust me. Google has enough money to create muscle in the market. It'll be popular to some degree or another, even if it's only within this niche netbook market. But even though it's Linux-based, and even though it's open source, I sincerely doubt that the terms "Linux" and "open source" will have anything to do with their advertisement plan. They will confuse customers that might otherwise be willing to buy into the concept. Second, Google's tactic of late has been to simply undercut Microsoft's pricing, which is easy to do given the outrageous dollar value Microsoft places on their operating systems. Being that COS will be Linux and therefore open source, undercutting that cost is almost expected. Linux already does this, but has little to no advertisement behind it, and to tell a potential user that there are hundreds of Linux OSes to choose from doesn't exactly help win over the hearts of the masses. COS will provide a solution to both of these problems, and that will definitely help reduce Microsoft's monopolistic, anti-competitive hold on the computing world as a whole. So where does that leave Linux? Linux has, up until recently, been a "geek" thing, and that's a mildly unfair stigma that has only been slightly loosened by more recent, "user-friendly" distros like the Ubuntus, including Linux Mint and other derivatives. This will not change. I keep hearing people make very bold claims that this is either really, really good or really, really bad for Linux on the whole. But one of the founding principles of Linux is freedom of choice. If you wish to not run COS, there is nothing stopping you from using an Ubuntu or a Gentoo or Fedora or Sabayon or PCLOS or any other distribution. Hell, you could even run Windows 7 on it if you so choose. One's decision about what OS to run is exactly that -- one's own decision. The introduction of COS to your miles-long list of options only changes things inasmuch as your list would then become miles long plus one. In fact, Linux has a chance to improve greatly. Having a popular Linux OS on the market backed by an unbelievably filthy rich corporation provides incentive for hardware manufacturers to release more official and better hardware drivers for the Linux platform. I'm not complaining about the quality of existing drivers, only the lack of drivers for a great deal of hardware. It's one of the main reasons why people quit Linux before they really begin. They can't get audio or their video card's driver can't send X up to the right screen resolution or they really need better Bluetooth support. Granted, Linux has better hardware support than Windows in most cases, at least so far as having it ready at install-time is concerned, but overall it lacks in this department. That's not Linux's fault. You can legitimately blame Microsoft for this. Their long-time practice of colluding with hardware manufacturers has been so deeply entrenched in the technology community that special words have been coined to describe it. Consider "Wintel" for instance, to describe the Brangelina-style marriage of Microsoft to Intel. Having a Linux-based OS in the mainstream could help facilitate a long-needed divorce. In short, Chrome OS isn't going to change the world. It barely even has a home in the small portion of the market that it intends to occupy. Perhaps it will occupy it, maybe completely. If you consider that the only other major OS suitable for netbooks is not as suitable as Microsoft would lead you to believe, you've got a clear win for Google. But if you think that perhaps Windows 7 is more capable on a netbook than Google's offering, then there's a clear win for Microsoft. Only one thing's for certain. Microsoft now has real competition, and it's been a long time since they've had to react to that. I guarantee that Microsoft cannot simply purchase Google, continuing their procedure of Assimilate and Deprecate that they've become adept at when facing opposition. And that is definitely a good thing. Finally a decent article on chrome os. Not sensationalized. I avoid freaking out when things like this happen. The point is that while there is such a thing as an attack on Linux, there is no such thing as a *critical* attack on Linux. Linux users enjoy freedom of choice, and no Linux project will ever see death until its users and developers *choose* to kill it. Chrome OS is no threat. It isn't meant to be. It's meant to perform a very simple task on a very simple machine. No reason to get out of hand. Some key questions: will GoogleOS boot fast? Will it be in ROM? How will it differ from Intel's Moblin? Will it even have a command-line and binutils? If not, it's a locked-down silo, no better than MS or AAPL. Mr. Anonymous, you make some good points. This is why I think it will have little effect on the Linux community. It probably will not have a CLI. Rather, one will exist, but it will be behind the scenes and probably require some serious hacking to access. The point of the OS is to boot very quickly and get onto the Internet very quickly. If it succeeds at that, then it's a success in it's own right. But it will never completely take over the Gentoos and Debians and RHELs and everything else simply because they serve a different purpose. Well, it is more in depth but often find myself asking whether the writer has read the blurb I wrote http://short.to/j7vw .. If that's the case good I'm glad to have been of help. And if not then maybe I'm not the only one with common sense. No, I hadn't read that. I agree that Linux is best when well-refined. I think that's true of anything at all. But I see your point, which is something that perhaps deserves its own post here: people often turn down Linux because for them, for whatever reason, it doesn't "just work." If there's a way to turn that around, it could help. That point is made here, albeit briefly, when I talk about the possibility that Google could help generate some better, more official drivers for Linux. are they going to register with distrowatch? "Google working with hardware manufacturers": does this mean the hardware has a single boot option, or will it be a dual boot option? If single boot, then it immediately displaces Windows as the default-as-shipped (its last bastion of strength). If dual boot, then it immediately displaces Windows as the first and only option (again, its last bastion of strength) since the hardware now offers choice on power-up. Even if the user has been a windows ewe-ser all this time, how easily, quickly, and (inevitably) habitually, will they revert to the <5sec boot-up to gain access to their social network (especially given windows propensity to cause problems once installed)? @seriouslycgi - I laughed. I hope they do, in seriousness. I would welcome the listing. @Anonymous - If the hardware has but one single boot option and no way to alter it, then the OS will have to live in ROM. This is not good if Google plans on implementing an update system. As far as I know, Windows cannot boot from ROM, but I could be wrong. If this is the case, then you're absolutely right. There would be no way to replace COS with Win7. Google is working on new hardware standards for peripheral devices involving... html. So it will support plug and play of most devices just windows does. It would appear that Google has been planning this for a long time(regardless of the release's timing) and has been working very hard behind the scenes to make sure that their lauch of an operating system will be very successful. 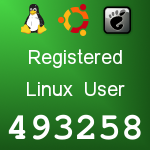 Finally, I think that most non server-OS distros will be in the position of following Google's Linux. Their technology will be open source, so it shouldn't be that hard. I was wondering why Google annouced this now when they shown anything. Intel have confirmed that they've been working with Google on this. And the it struck me... It was because of this... People talking about it. What better marketing than people standing around the water cooler as it were? Nevyn, that's one reason I hate the Mac universe. Not the OS, just the secrecy and grandiose announcements and hoopla and 75% of tech sites covering the same thing that no one has seen yet. I agree with you but hate it. Its like 12 year old girls and Miley Cyrus.